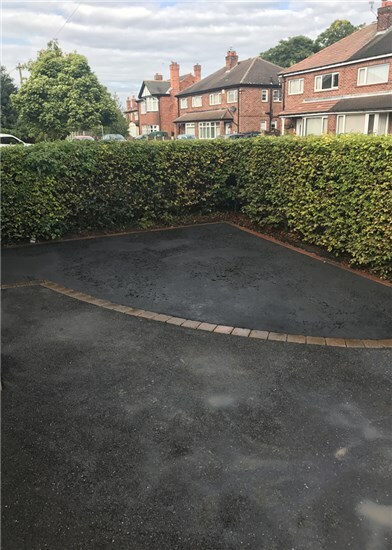 The material of tarmacadam consists of tar and broken stone and naturally is a dark coloured, bituminous material that can be laid on almost any surface with the right preparation. 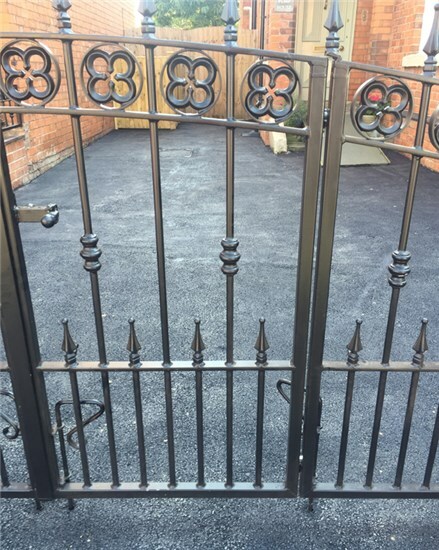 When compressed the broken stones are held together by the tar giving the look and finish of a long lasting and highly durable tarmacadam surface. Cost-effective – less construction time and materials to reduce the stretch on your budget. Faster construction time and less disruption to the road or pathway users. An alternative to the use of geo-textiles. 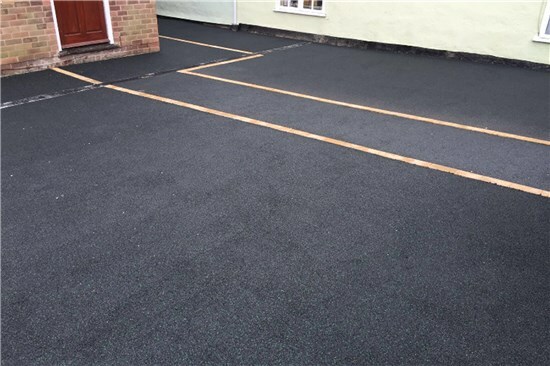 The tarmacadam mixture is laid while hot and viscous, levelled and compacted, and then allowed to cool so that it binds to form a solid, hard-wearing surface. 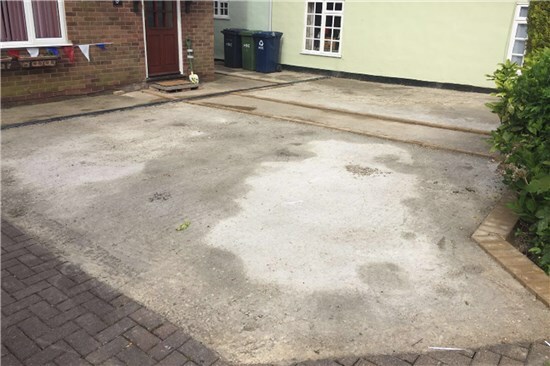 Wherever possible, tarmacadam driveways should be laid using a paving machine as this ensures the best compression and therefore finish. 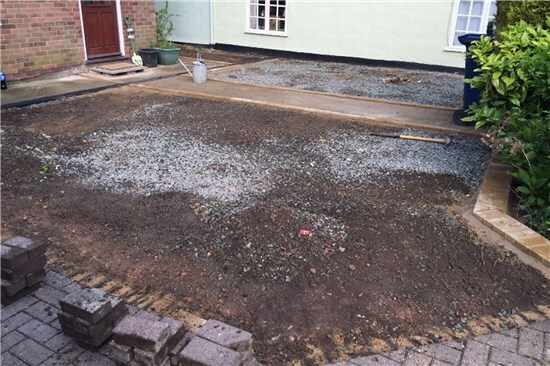 Sometimes it is not possible to use a machine in areas such as small garden paths, but your contractor will use alternative methods. 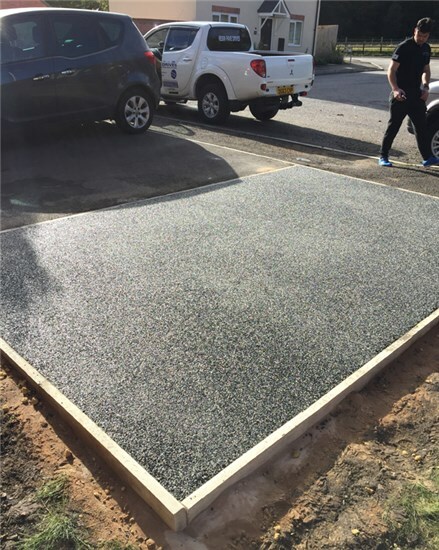 Laid tarmac and levelled, rolled flat for car standing area. 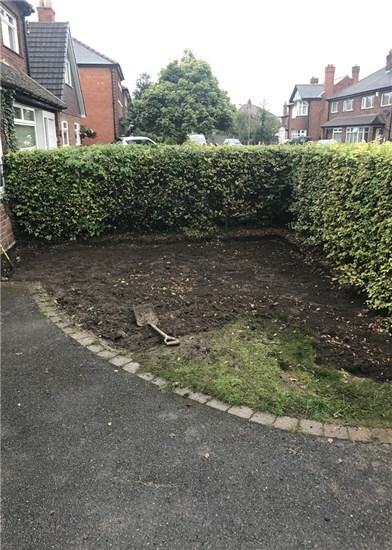 Dug the lawn up and prepared it for a tarmac surface. 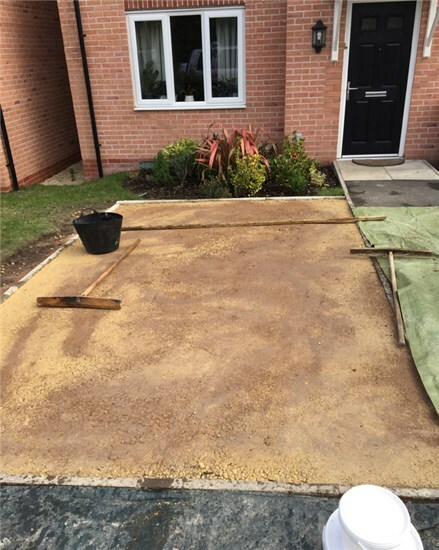 Finished with a full tarmac surface installation to extend the existing driveway.